Synthrotek’s 555 Timer has endless usage! Use it as an LFO to modify existing noise making machines or use it as a stand alone tone generator or a clock. Adding this PCB to our PT2399 delay on pin 6 has been super awesome. (A MUST FOR CIRCUIT BENDERS) Many other ideas… Kit includes everything you need to make a variable pulse generator. 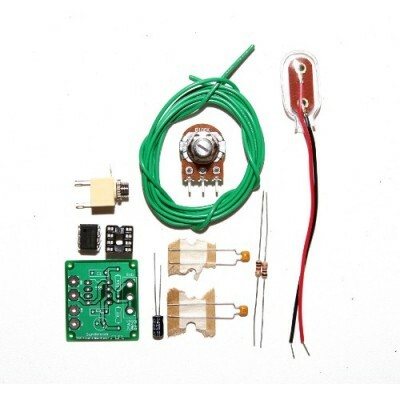 Comes with 9V battery clip; use it stand alone or wire it up to your existing circuit. 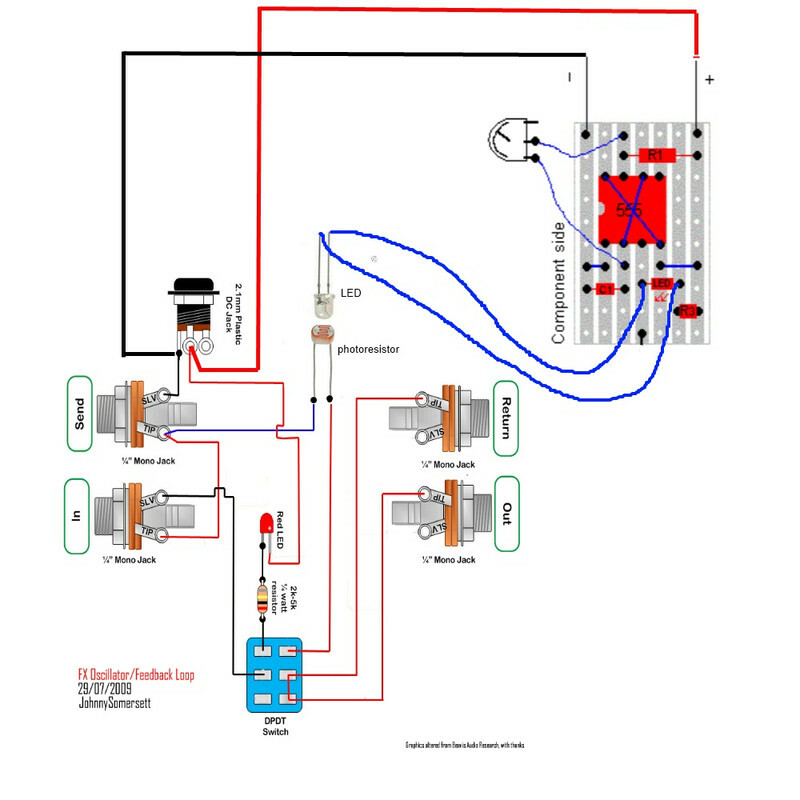 Would i be able to wire an LED to the output and then join it to a feedback looper with a photocell to get a tremolo’d feedback looper? Hi Patrick, I am actually working on a tremolo right now with a buddy. Well, part of the trem circuit is an LFO to an LED or optioisolator. I think it could work, please let me know know what you come up with! Hey man, thanks for getting back to me. I think i’ve figured out how to do this now (with a lot of help from some very nice people on various forums). The way i understand it, the LED which is made to flash by the LFO circuit passes through the photoresistor and creates the tremolo effect on the feedback looper. That’s correct as far as i know. I was wondering if i could replace the LFO circuit on the milkmo site with this one…although as silly as it sounds i can’t actually work where the LED would be wired to on this circuit. The output of the 555 circuit is enough voltage to power the LED. Hmm, on that flikcr circuit does not really seem to have an oscillator circuit in it… My 555 would do something similar as the mikmo deal. Just outputs a variable square wave, could light up the LED, then I guess you would need a optical resistor to read that LED to vary the resistance. So the negative side goes to ground and the positive to output? On the bottom left of the pcb yeah? Frequency range of the kit? Hi! I’d like some help or info on how to use this as a LFO on an existing device like an APC or old casiotone etc. I’m still new so sorry if its super obvious! Thanks! This page has a lot of good info on the Astable 555 timer circuit, and has some links to other places that may help you mod other circuits. 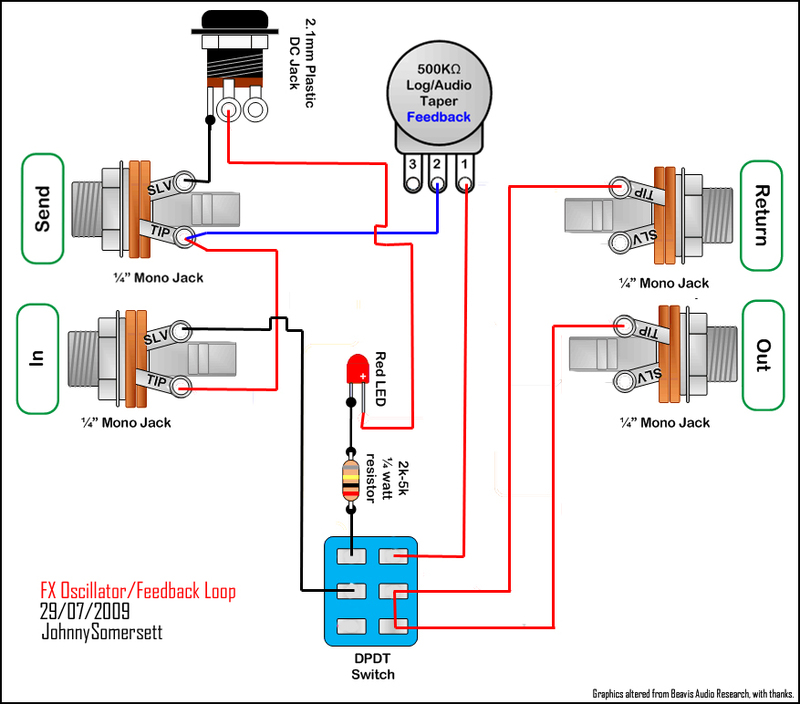 Hi, I was wondering if I can add a 3.5 mm mono jack to the 555 circuit to modify existing eurorack oscillator modules or other modules? If so, is there a guide? Or, if I could add a 3.5 mm mono jack for cv input? 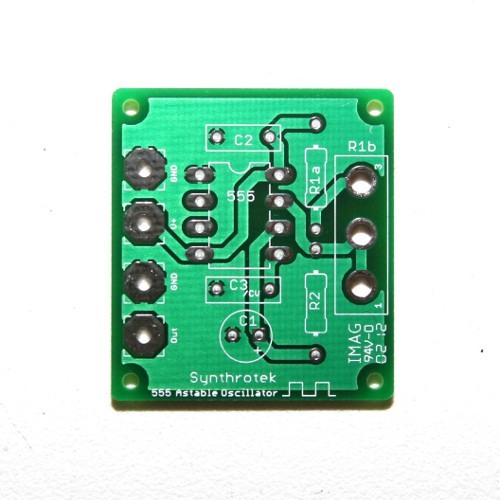 You should be able to wire a 3.5mm mono jack to the output of the 555 timer. Unless I’m not understanding what you are saying, the way to wire it is in the assembly instruction. With regards to making a CV input, pin 5 is the Control pin. Instead of populating C3 with a capacitor, you will want to wire your 3.5mm jack into that spot. The tip of the jack should be wired to the via on the right (its the via with CV printed next to it) and the shield or ground of the jack to the via on the left. Hey! Great kit – very fast build. A couple of questions… I’ve hunted around the web but I can’t find a decent explanation. 1. Do I need to mod it if I want to use it as an LFO? If so how? 2. If I want to connect an LED to indicate the LFO rate how would I do that?